"Will a dead body mean more trouble for Tori, Kathy, and Anissa?" Kathy Grant is preparing to open up the Swan's Nest by clearing out some of the brush in the lawn with the assistance of her best friend, Tori Cannon. Unfortunately, they find more than just a debris as a dead body is in the marshy area of the property. Meanwhile Tori is working odd jobs as a substitute teacher to pay the bills while trying to get Cannon Bait and Tackle solvent again and dreaming of the day she can renovate the Lotus Lodge. Anissa Jackson is assisting both Tori and Kathy with renovations while trying to get her own contracting business on its feet. Will the murdered man mean more trouble for Tori, Kathy, and Anissa? Will the opening of the Swan's Nest be successful? And what about Tori's dreams for her own business? 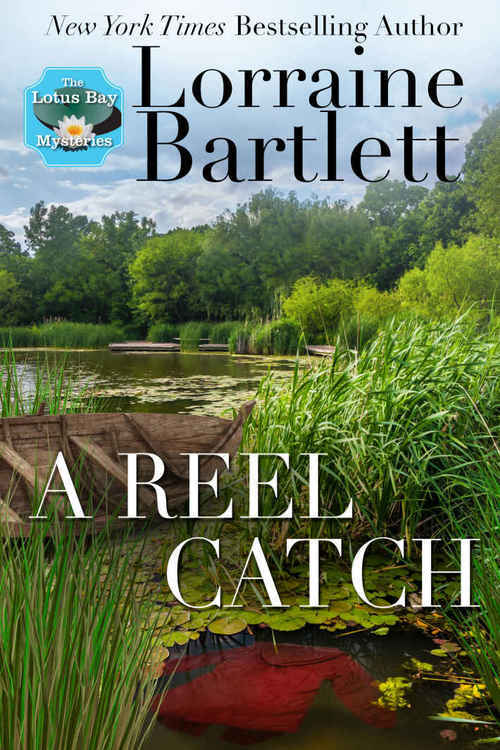 A REEL CATCH is the second book in the Lotus Bay Mysteries series but can be read as a standalone. However, we are seeing the relationships between Tori, Kathy, and Anissa solidify and become much stronger. I won't reveal spoilers, but there are some interesting twists in their growing friendships with locals Lucinda Bloomfield and Noreen Darcy. I'll be curious to see what the future holds. I particularly love that Lorraine Bartlett focuses on the empowerment of women even under some very trying circumstances. I've struggled with liking all of Tori's family, including her grandfather Herb, who was a major figure in the first book, WITH BAITED BREATH. A REEL CATCH introduces us to a cousin, Amber, who is thoroughly dislikable. Oddly enough, Herb's move to Florida after his lottery win has softened him a bit (or perhaps it's his new love, Irene) and he's starting to grow on me. I won't say I'm missing him, but I'm at least starting to better understand why Tori loved him and her now deceased grandmother so much - and why the bait shop and lodge mean so much to her. A REEL CATCH is a fun cozy mystery featuring likable women characters dealing with the struggles of small business ownership. Lorraine Bartlett does a phenomenal job at showcasing strong women in non-traditional roles. I cried, laughed, and cheered right along with Tori, Kathy, and Anissa. The Lotus Bay Mysteries series is the first series I've read by Lorraine Bartlett, but it definitely won't be the last! Swans Nest Inn is about to open, and Kathy Grant solicits her BFF, Tori Cannon, to help spruce up her property at the marshy end of Lotus Bay, only they didn�t count on finding a body. Who was he? What�s his connection to their friend Paul Darcy? Meanwhile, two entrepreneurs with vast business ties are interested in helping Tori reopen the Lotus Lodge, and their real motives are as murky as the bay after a storm. Will Swans Nest open on time? Will the Lotus Lodge reopen at all? Kathy knew the drill. After all, she�d been interrogated by the Sheriff�s Department on more than one occasion following the terrible events of the previous summer. The bad guys hadn�t yet gone to trial, so there was still that horror to come. What she minded most was the suspicion law enforcement leveled at one when it came to reporting a dead body. Osborn had been the detective in charge of the Michael Jackson homicide the year before. He�d been a sour SOB then and his personality had not undergone any improvement, although he seemed to have lost the beer belly and gotten a decent haircut. Maybe he had an upcoming court appearance and wanted to look good. Kathy couldn�t imagine any woman actually being attracted to the man. But then he was middle-aged, and she still had more than a decade to go to get to that point in life. �Are you crazy?� Anissa Jackson asked, giving the detective the fisheye. �There�s a reason black folk like me don�t like to talk to white cops like you�� she began even more testily than Kathy. �Very well.� He turned, heading back toward the medical examiner�s team that had arrived from Rochester and was about to pull the body from the water. It wasn�t something Kathy wanted to witness. �You don�t have to convince me,� Tori said. The three women trudged back up the small rise to the large house, past the big sign that had been erected just the week before. The name, Swans Nest, Kathy�s about-to-open bed and breakfast, was raised from the chiseled background of the pressure-treated wood and filled in with gold leaf. The image of a mama swan sitting on a nest was situated above it, and a temporary vinyl banner attached to it promised OPENING SOON. They climbed the steps to the newly replaced front porch, and Kathy opened the heavy oak front door that had been restored to its former glory. Anissa was responsible for a lot of the repairs and refurbishments, but Kathy had invested months of sweat equity as well. Upon entering the house, Anissa closed the door and she and Tori followed their hostess into the kitchen, where Kathy immediately put the electric kettle on, taking out cups, spoons, and cocoa powder. �You�re going to make hot chocolate with water?� Anissa protested. �I�m all for that,� Tori announced and took a seat at the marble-topped island. She seemed to shudder once again and blew onto her still-gloved hands to warm them. �Have I ever not?� Kathy asked, pointedly. Anissa shot Tori a smug look. She was the ultimate cookie monster. Kathy scooped half a dozen sunflower seed cookies from the big glass jar on the back counter, placed them on a plate, and set it in front of her friends. Neither wasted time grabbing one�although Tori did at least remove one of her gloves first. Kathy was gambling that she would be able to throw bridal showers, and possibly host weddings and receptions, at Swans Nest. She�d been gathering recipes and testing them on Anissa and Tori all winter. Catering would be a big part of her business�she hoped. �So what do you think the story is with that dead guy?� Tori asked. �Seems weird that a body washes up when nobody�s been reported missing,� Anissa commented before taking another bite of cookie. �Who do you think he could be?� Kathy asked. �You think only Canadians wear plaid jackets?� Anissa asked. �Point nothing�your breakwall,� Kathy said. �Luckily we�re not going to have to worry about this guy,� Anissa said and reached for another cookie. �You mean like fish and turtles and stuff?� Kathy asked. �I certainly don�t want to look at a putrefied dead guy,� Anissa announced, glanced at her cookie, and decided to put it down. �Osborn can�t make us do that, can he?� Kathy asked, aghast. The kettle began to boil and Kathy poured the hot water into the mugs, stirring each of them before adding a heaping tablespoon of chocolate chips to each mug, again stirring until they�d melted and thickened the liquid. She passed the mugs around. As if on cue, the bell rang. �Couldn�t you just look it up in your files from last year?� Anissa asked and Tori gave her a nudge to cool it. �We�re more than happy to cooperate,� Kathy said sincerely. Osborn took down their full names, phone numbers, and addresses. 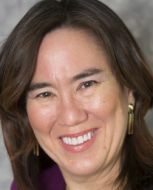 �What�s going to happen to the body?� Kathy asked. �Apparently,� Osborn agreed. He stuffed his notebook into his coat pocket. �If you ladies will excuse me. I�ll be in touch.� He turned for the hall and the front door. �Aren�t you gonna say thank you?� Anissa called after him. Kathy saw him out and returned to the kitchen to find her friends again munching cookies and sipping cocoa. �Did you have to tease him?� she asked Anissa. The three of them looked at one another. Kathy knew that she sure hoped that would be the last they heard about dead plaid guy. And yet � the tight feeling in her stomach told her otherwise.